This is a summary for Brayden for the first three months of being 8 years old. That puts him in Preteen territory! Eating is great. Brayden is very adventurous and willing to try anything. He doesn’t like everything, and that is okay with me. I am just glad he tries it. Overall, sleeping has been great. This summary covers him for the summer months, so we were pretty lazy about getting up in the morning and he would often sleep in until 8 AM–which isn’t necessarily terribly late, but in the world of Brayden, it definitely is. Brayden had one night where he could not sleep. It was so bizarre. He hasn’t had a night like that since he was still a newborn! He came out around 10 PM and said he couldn’t sleep and he was very worried (pretty well convinced) that he wouldn’t fall asleep all night since he was already up so late. We didn’t even have anything exciting going on the next morning and hadn’t had an evening that was out of the ordinary. We told him to try to sleep. We told him he could read for a while to get sleepy. We put doTerra essential oils on his feet (the sleep blend Serentiy). He prayed. Nothing. At midnight, he came out again all worried. We were staying awake to make sure he made it asleep okay. We told him he could sit out on the couches with us and we would watch TV. Nope. Didn’t make him tired. I dozed off and woke up at 2 AM to find he was still awake (ack!). I told him he had to go to bed and we had to go to bed because we still had to function the next day. So we all went to bed and he fell asleep. He hasn’t had a night like that since. I have no idea what got that rolling. It was so odd and completely out of the ordinary. I actually haven’t had any child unable to sleep like that since he was a newborn–none of his sisters had nights like that as newborns. Brayden still reads in bed for about ten minutes before he has to go to sleep. He really enjoys that. During the last three months, Brayden played baseball. We had no piano lessons; we took the summer off. We did have some swimming lessons throughout the summer. Brayden is apparently a very natural swimmer (I don’t really know because I can’t swim–sad but true!). He is doing very well in swimming lessons and working toward possibly joining the high school’s junior swim team. During the summer, I really focused on teaching Brayden to do more chores. It was great! I have decided that when you have a child in school, during the summer is a great time to teach the new chore skills you want your child to have. There is a lot of time to teach and practice without being as crunched for time. He is quite proficient at the new skills and will be able to do them independently from here on out. I shared months ago during the summer when Brayden got baptized. In our church (LDS Church), you get baptized at 8 or older. Another thing that comes with being baptized is fasting. In our church, we fast for two meals (or 24 hours) every month. So we eat dinner on Saturday, then abstain from food and water until dinner on Sunday. I didn’t know how to introduce Brayden to fasting, so I consulted a family I really respect who has older children at my church. They also have a daughter Brayden’s age. They start by having the child fast for Breakfast on Sunday, then can eat lunch. They do this until age 12 when they move to a full fast. Being a human and a boy, Brayden was not excited about fasting. But we fast with a purpose–we pray for something we need special help with or for someone we know needs special help. He fasted with a purpose for his first fast and noticed a difference in his life from it, and that helps give him purpose and strength each month. Brayden is at the age where he has obviously lost a lot of teeth. He is getting his adult teeth in, and he is not liking what he is seeing. I feel bad for him–I think it is fairly common. They get teeth in that are to big for their mouths. They often come in crooked initially (I have noticed his teeth so far have straightened out a lot after initially coming in–I don’t know how things will be in the end). This is a moment when it is hard to know what to say and you wish you were a wiser person. I had braces as a kid and I told him that and assured him it would be okay if he needed some, too. It is interesting because he isn’t alone–every other kid his age is losing teeth and growing giant ones in, too. And I don’t think I ever expected to have a boy feeling insecure about a way he looks. 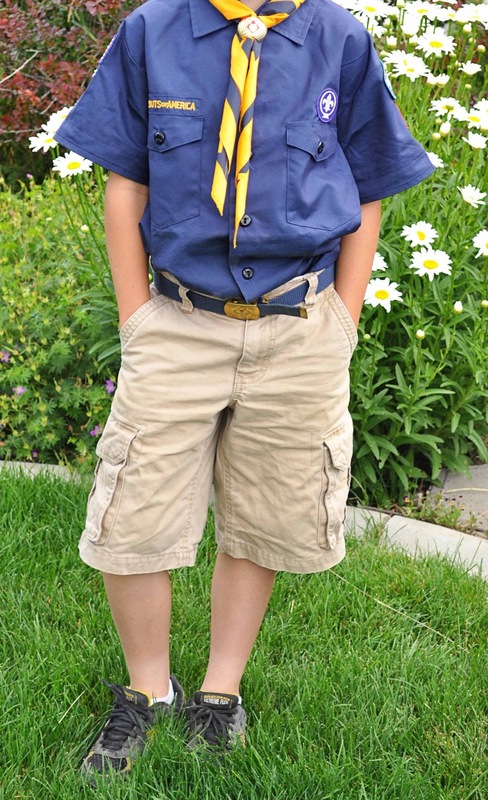 Now that Brayden is 8, he has started Boy Scouts! My husband took him to a day camp. He loved it. He loved doing all of the things boy scouts do. It is amazing how helpful an 8 year old can be. He can completely feed his sisters lunch. He is a great cleaner and really contributes to getting things clean. He is really good at making things happen. 8:00 AM–wake up. Eat Breakfast. Get ready. Practice piano. Do daily chore. We then did Indpendent playtime, free play, learning activities, walks, errands, park, visit museums, play with friends…Not all of that every day. We then did play with siblings, free play, SSR, video game time, TV time…Not all of that every day. 8:00 PM Start getting ready for bed. 9:00 PM–in bed (why does it take so long? We spend a lot of time reading before bedtime. We read scriptures then read chapter books). Preteen summary?! Oh. My. Word! I know it. My thoughts exactly. wowza, it goes so quickly! today DD2 started kinder and DD1 1st grade, sniff sniff.That is so bizarre about the sleep thing. I know that if i go to bed too late i have trouble unwinding, and when i say too late, 15-30 min outside my optimum and that's all it takes. not saying that is what happened but i have had that happen and then i understand how OT affects babies. it's so weird! so that stinks and maybe he worked himself up more when having trouble. hope it was a fluke!About the teeth, well my oldest has lost 5 already and yes her new teeth are much bigger. she has done the 2 front teeth and they were so funny as they fell out about 2 months apart! so they grew in at different times and made her look funny. But we just said she looked cute and she didn't think too much of it. Maybe boys tease or whatnot at school? but yes they often come in crooked. i recall my brother had horribly crooked teeth and everyone thought he'd need braces. mine were perfectly straight. well he never got braces and i did (for a jaw issue). So you never know! Are your girls going to do girl scouts?What do you think of 4H? I am looking into an activity for my DD1. I don't want too much and only 1 activity. i want her to take music this coming year so i don't want something too intensive with time. i never did 4H but we now live in the country more and i think it has good benefits. Just wondering about your girls plans.Thanks! I don't think there is any teasing–and it wouldn't make sense if there was. His teeth aren't abnormally crooked–they aren't really noticable. They look like most kids' teeth do coming in. So with everyone else going through the same thing I don't think there is teasing. He is just insecure about it. I don't know if we will do girl scouts. Our church has a program similar to girl scouts so I think we will just stick with that.We might do 4H for sewing. I have a friend I look up to a lot who runs the sewing group so I might do that. If it wasn't her teaching it, I would probably just do it myself. I actually showed sheep in 4H as a kid, so if any of my kids have a strong desire to do that, I would consider it. It is quite a bit of work though! Are you thinking of doing 4H for animal stuff or other stuff? i was never in 4H and grew up in the city so i don't know much about it but trying to find out. they have things that aren't animal related so that maybe something or where they help take care like a community project….the lady spoke about how they had 10 chickens and it was a 1 hour committment max a week to feed,etc…i thought this was more over the summer too. i definitely need more details. But basically if she wants to join something i'd like it to be something worthwhile. i don't want more than 1 activity as i think they get overloaded. definitely will start piano soon. So she may be pretty full with that and maybe more things over the school breaks,etc.She is talking about ballet but I'm not sure. That's actually pretty pricey lessons and with the costumes,etc. I guess we'll see. I am not big on too many activities as they have more than enough with school, so I don't want a huge time committment. With a lot of things that are extracurricular they require a huge time commitment…i'm not opposed to sports,etc but it seems like most have so many practices and games and stuff it is an allweek committment which i don't like for age 6.